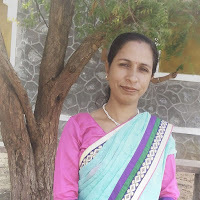 Mr. Nimendra Singh passed The Fabindia School in 1998. Then he went to Kota and did his 12th from Modern Sen. School. Then he did his Electrical Engineering from Jaipur Engineering College, Kukas, Jaipur. After he finished his engineering he became Lecturer in JE College, Kukar. He became Junior Engineer in 2007 in RRVUNL. 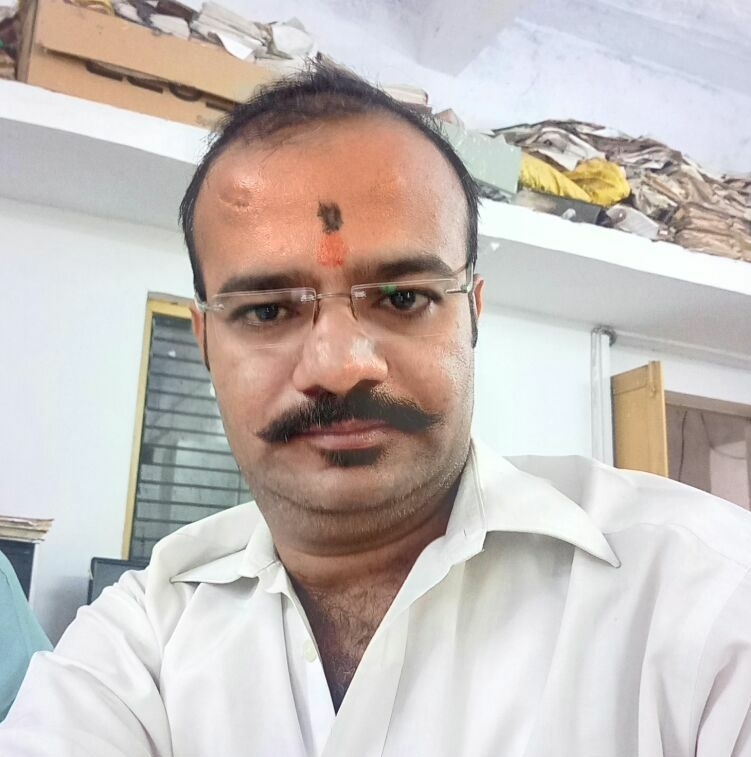 He was promoted as Assistant Engineer in 2017 and posted at Sirohi. Nowadays he is Feeder Manager, Assistant Engineer at Jdvvnl, Rani. He says that you should always Dream, for Dream comes true. Fiday, 17th November: Professional Development Program started at The Fabindia School since last three years. During PDP, educators have developed many skills to enhance their teaching qualities. Nineteen Staff Members were awarded Certificate of Appreciation for their successful completion of Level II of Professional Development Programme delivered at The Fabindia School, Bali. 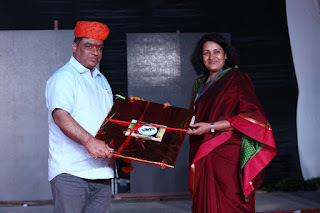 Mr. Ajay Vijaywargi, Mrs Aysha Tak, Mrs. Bharti Rao, Mr. Byju Joseph, Mr. Gajendra Mewara, Mrs. Kavita Devda, Mr. Krishan Gopal, Mrs. Kusum Dangi, Mrs. Kusum Sharma, Mrs. Monika Vaishnav, Mrs. Prerna Rathod, Mrs. Rajeshwari Rathore, Mrs. Sharmila Vijaywargi, Mr. Suresh Negi, Mr. Tarun Mishra, Mr. Usman Gani, Mrs. Urmila Rathore, Mrs. Usha Panwar and Ms. Vimmy Rajpurohit received the Certificate of Appreciation. Tuesday, 14th November: Children's Day was celebrated in school. Students came in coloured uniform. Staff put up a small program for the students. Female staff gave two dance performances. Mr. Ajay Vijaywargi gave a motivational speech to the students. Male staff presented a small humorous skit. Mr.Byju Joseph narrated a motivational speech and gave a vote of thanks. Then the students played and danced with their friends and teachers followed by snacks for everyone. In the second half of the day students continued their annual day practices and exhibition work. 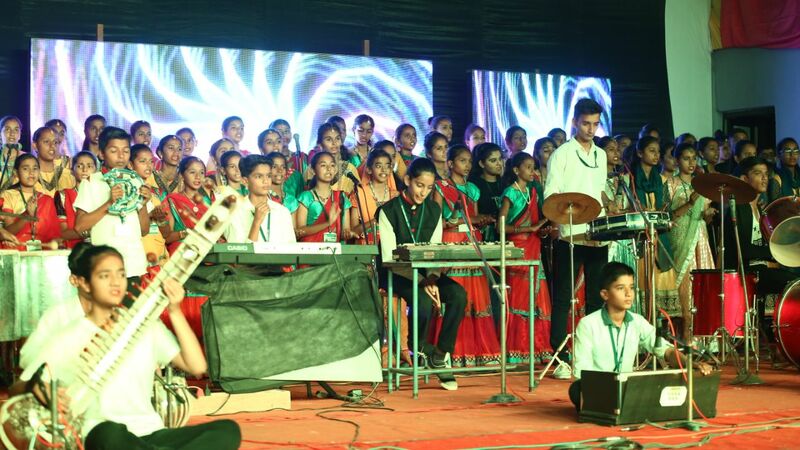 Friday, 17th November: School celebrated its 25th Annual Day. The Board Members, Chief Guest, SMC Members and Parents arrived at 4:00 PM and went around the exhibitions. Chief Guest Principal, Doons School, Mr. Mathew Ragget was introduced to the Staff at 2.30 PM followed by the inauguration of the Annual Day Exhibitions at 3.30 PM. Exhibition started with the Lighting of the lamp. John L. Bissell Block housed Art and Craft Exhibitions, Photography Exhibition, Commerce Exhibition and Philosophy of the School Exhibition. Hendon Chubb Block housed Science Exhibition. Learning Resource Centre housed Computer Department. Chief Guest Mr. Mathew Ragget, Headmaster -The Doon School, Dehradun went around the exhibition at great length and asked questions in details related to their models, material used and information collected. He deeply admired the hard work of the students. 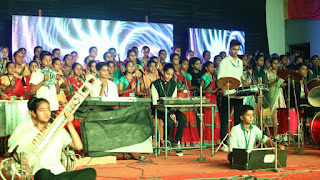 Annual Day started with the School Song. School Orchestra gave an awe inspiring performance. School Captain welcomed the Chief Guest. The School expressed their wholehearted gratitude by felicitating their Chief Guest Mr. Mathew, Guests Mr. Pusphpendra Singh Ranawat, Energy Minister, Mr. Lakhmaram Choudhary, Municipal Chairman, Special Guest Mr. Inder Raj Bhandari, Brig. Karan Singh, SMC Chairman and Board Members, Mr. William Bissell, the Co-Founder of The Fabindia School Mr. Sandeep Dutt , Chairman of the Bhadrajun Artisans Trust, Mrs. Anjana Batra, Mr. Ravi Kaimal, Ms Prableen Sabhaney, Ms Poonam Singh Chauhan, Ms. Babli Saraf and Mr Yogendra Singh Mertiya. Principal presented the School achievements. The educators had written a book “My Good School in which they shared their experiences of teaching and how the teacher-student and parent-teacher relations are built up at The Fabindia School. This book was published and was released on this auspicious occasion of 25th Annual Function by Mr. Mathew Ragget. 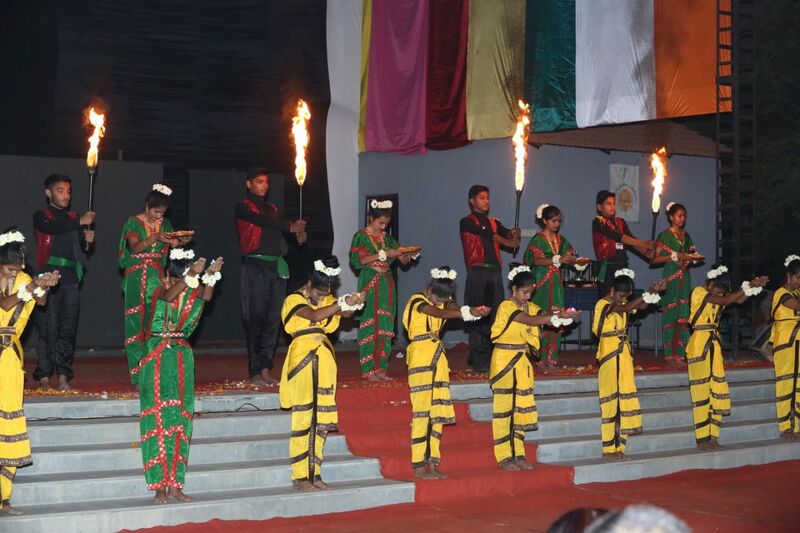 The Cultural Show started with Saraswati Vandana, then Pre-Primary, Class I-II and XII presented mind blowing dance performance. 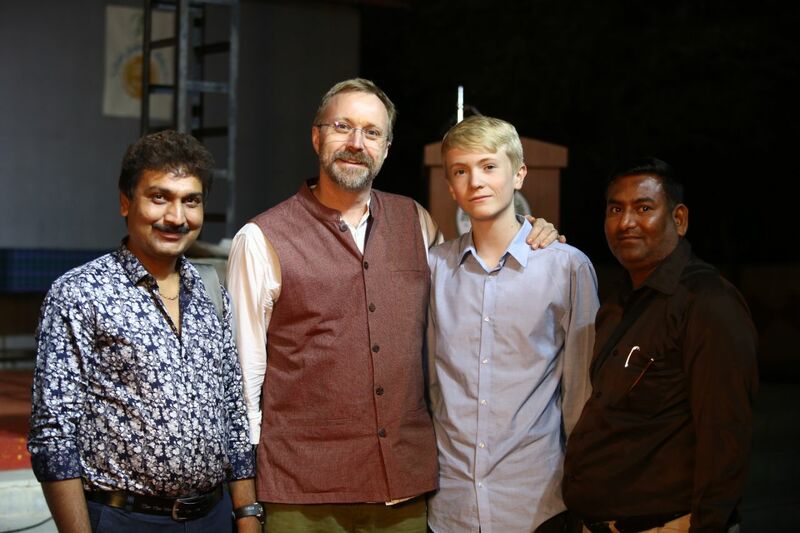 Mr. Mathew Ragget, Mr. Yogendra Singh Mertiya, Ms. Babli Saraf and Mr. William Bissell addressed the gathering and spoke a few words of encouragement to the students. The theme of the concert was Healing Environment and Humanity. 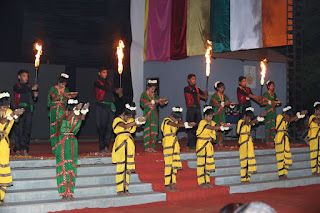 Students performed dances and dialogues of different states of India. Causes and conditions of rivers and how we can save rivers from polluting them. The message given was “ Rivers are a priceless treasure, save them with pleasure”. The Concert ended with the Grand Finale and Vote of Thanks by Mr. Byju Joseph, Vice Principal. Congratulations to all the Winners! Well done girls you are three up! Saturday, 18th November: The School observed a holiday.